As much as I loved the collection, I don't like how it is translated on the red carpet. Maybe its the way Miss A were styled but I dislike the outfits on them. 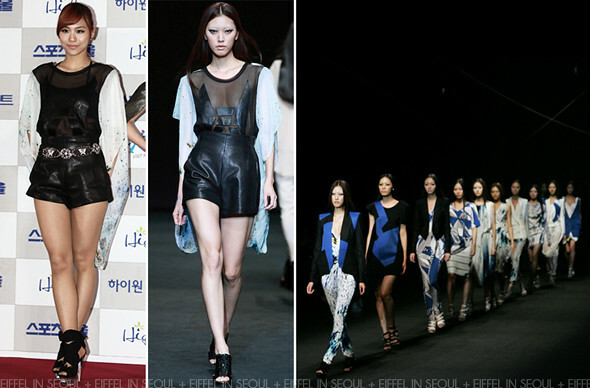 I would also like to praise them for wearing the bold pieces from the Spring/Summer 2011 collection. But like Girls' Generation, their stylist merely pulled the pieces for them pairing it with high heels. I wished gorgeous pieces from the collection would be styled differently from the runway. What are the celebrities-stylists up to lately? !